On April 30th 1789, George Washington took his oath of office as the first President of the United States. He wrote to his friend James Madison (who later served as the fourth President) of his hopes for the job: “As the first of every thing in our situation will serve to establish a precedent, it is devoutly wished on my part, that these precedents may be fixed on true principles.” Washington was in office from 1789 to 1797 and it’s due to his major role in the formation of the US (as well as the part he played in the American War of Independence), that he’s still referred to as the “Father” of his country. Today is the birthdate of a man branded on the mind of America and beyond. The details of Washington’s life are documented and disseminated, recited in classrooms, written into bestsellers. We know it was his great-grandfather John who immigrated from England in 1657 and we’ve read all about his time as a warrior and a statesman. It was Washington who gave his name to the city I now call home, and his face adorns every one dollar bill I spend and earn. 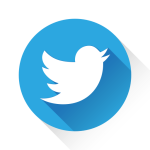 And yet, though his life and achievements are archived and quantified, how much of a measure of the real man can we have? How hidden is Washington behind his masks of history and legend? The paintings I’ve seen tend to put him into soft-focus, for warm images of a worthy, wig-wearing old man. Most artists also seem to cut down the size of his nose (thought too big to be beautiful) and dull the glint in his eye. Fortunately for us, there’s a sculptor at the NGA who refused to shy from the President’s nose and alacrity. Jean-Antoine Houdon (1741 – 1828) got closer to Washington than most and provided us with some of the most honest and raw portraits of the man. Houdon was a versatile French neoclassical sculptor who trained under French masters before completing his studies in Rome. He started his career with sensual, mythological figures in the Rococo style before becoming increasingly in demand as a portraitist, eventually casting and carving some of the greatest figures of his day. 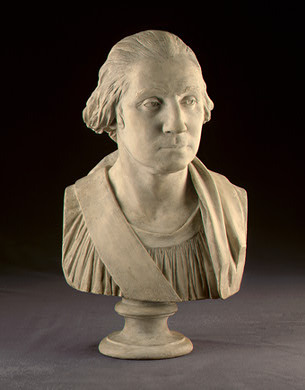 Houdon’s bust George Washington (1786) was the result of direct meetings between the two. In 1785 Benjamin Franklin and Thomas Jefferson selected the artist as “the best in any of the European states” and sent for him to spent a couple of weeks at Mount Vernon. 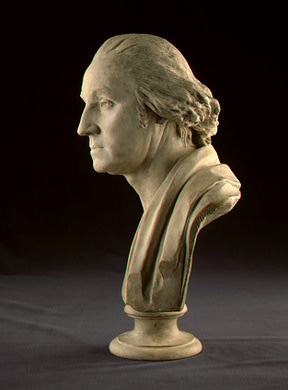 In this time, Houdon took measurements, made wet clay life models, plaster casts and even a plaster life mask (1785) while the President sat for him. 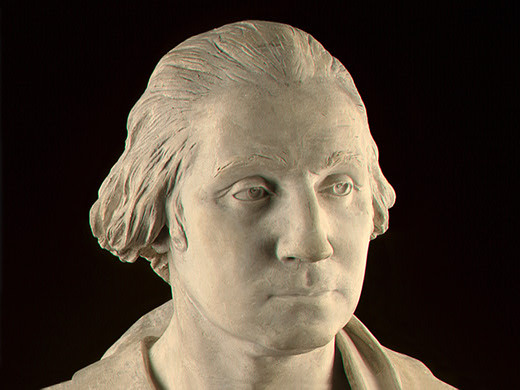 These models were all used in a series of portrait commissions of Washington. The plaster bust at the NGA shows just how well Houdon was able to capture the spirit of his subject. His approach is direct and unadorned: he’s got Washington in something similar to classical garb, hair combed back off his face. There’s a slight arch in the brows and a startling tenacity in the gaze (I think this is the keenness other artists have tended to miss). 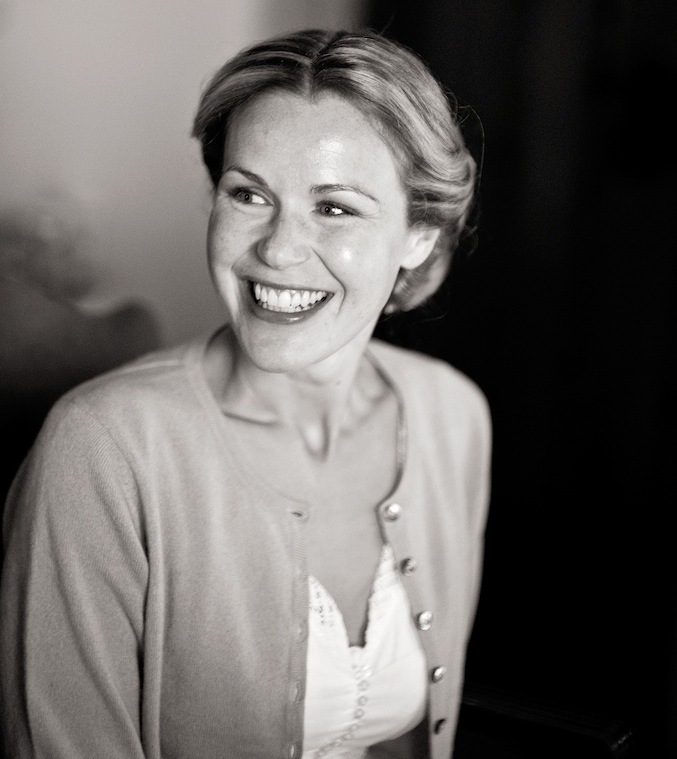 The nose rises loud, proud and undiminished from the smooth planes of the cheeks. The profile reveals more of the ravages of time, in the sagging under-chin and flesh folds on the neck. 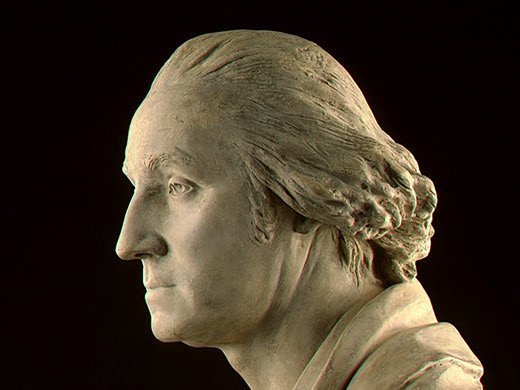 Houdon is said to have struggled to get Washington’s facial expression just right, until he witnessed the President dismiss a greedy horse trader. So I suppose it’s thanks in part to Houdon that we get to see something so fresh, real and human from Washington today.